Java island is famous of its best quality of Teak wood. It because Java island is tropical island that very perfect to plant Teak tree. The picture show you about one of Teak forest area in Java island. The trees are maintenaced by the government of Indonesia, Perum Perhutani (Forestation Company of Government). The largest producer of teak in Indonesia is Java. 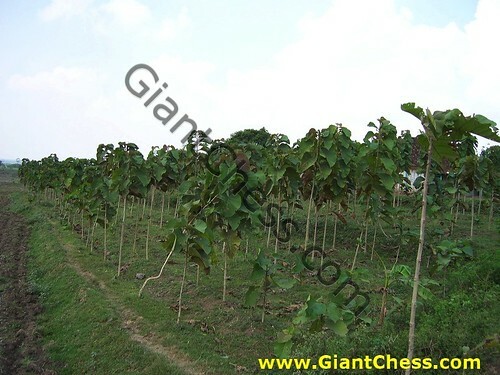 Its geography and weather are highly suitable to Teak tree plantations. Java Island is also a manufacturing center where many furniture workers are employed to process the wood of the Teak tree into unique and beautiful furniture. To get teak wood of the highest quality, there are some things that must be carefully attended to in the retrieval process. The older Teak trees, of up to 40 years in age, are the best ones to be cut. In fact, the older the Teak tree, the better will be the quality of its wood.